While rooting around in Watsons and Boots in Bangkok the past 2 days, I came across some unfamiliar products by Maybelline, L’Oreal and Ponds that caught my interest. I was intrigued by this product under the Maybelline AngelFit line. AngelFit appears to be an Asia exclusive line and I’ve thus far been quite impressed by most of the products under this. 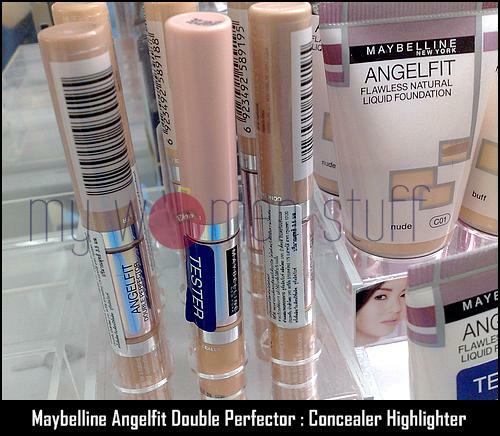 The new one is Angelfit Double Perfector, which is a dual-ended tube containing a concealer and highlighter. The Concealer has a sponge tip applicator while the highlighter has a brush applicator. I dithered for a long time whether to buy it but decided not to because it came in only 3 shades and the concealer in the lightest 02 shade was a little too dark and yellow for me. The highlighter is a iridescent pink tone that promises to work decently well. I hope it comes in soon and that I find a colour match! It was about THB320+ (approx RM32+). Update: News is, its not coming into Malaysia. Not sure why but we’ll see eh? I’m not sure if we have this one here in Malaysia but I don’t seem to recall it. Perhaps I’ve been sleeping 🙂 Do remind me if its available yeah? 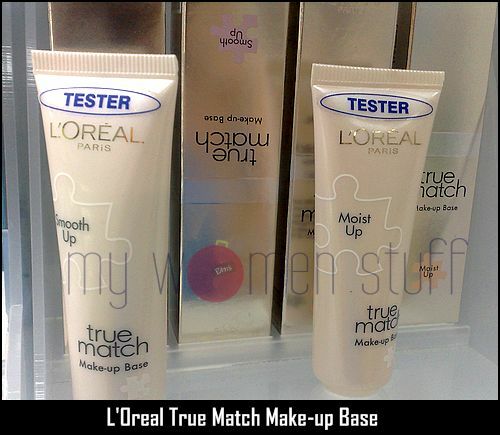 Its a makeup base or primer under the L’Oreal True Match line. There are 2 formula – Smooth Up and Moist Up. Smooth Up as the name implies gives you a smooth finish and covers up pores while Moist Up adds moisture and should be for dry skin. They both felt nice on my skin, sinking in without discernable colour and without feeling sticky. Definitely worth taking a look at. Again, I’m not sure if we have this here because I haven’t been paying attention much to Pond’s. 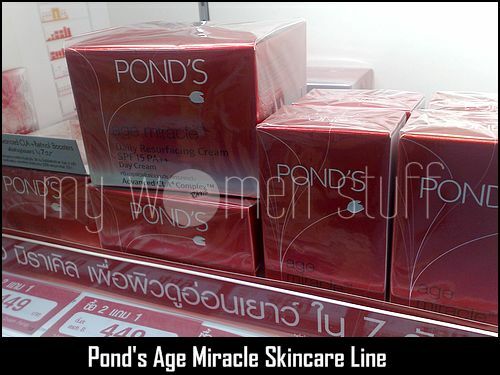 The bright red colour of the Age Miracle line however caught my attention in Boots pharmacy. Have you tried either of the above 3 products? They might be available where you are so it would be nice to hear some thoughts if you have. NEXT POST: Ask & Answer : Suggest a good Body Lotion with Sunblock? I was in India a few years back and bought a lot of their fashion+beauty magazines, where the Pond’s Age Miracle line was heavily promoted. There were some samples of the product attached to these magazines, and i found the product to be quite good. Good to know it’s available in bangkok, as am planning a visit in Oct.
Hmm… looks like its not out here then. I was quite intrigued – thanks for sharing your thoughts on the Pond’s! Aww… sorry babes not yet! I have used Pond’s Age Miracle products on my trips to India and I like them very much. They’re great if you are under 40. If you’re older, you may want to use an anti-aging serum with these products. The do not make you break out or clog your pores. Ok now I’m seriously intrigued! I’ll be sure to check them out when they get here 🙂 Thanks for sharing! Hey! Maybelline has a product over here in the States that looks to be the same as the Angelfit Concealer/Highlighter duo, except its called Age Rewind. Over here it comes in 4 shades (light, light-med, med and dark). I have it, and the highlighter is quite good and some people even compare it to YSL’s Touche Eclat, but the concealer is very meh. Dunno if they changed the concealer formation for Asia, but hey, if the price is right and you want a new liquid highlighter! You’re right! It looks similar. The concealer felt a bit thick though the highlighter was the one that really got me. Thanks for sharing! Will be in Bangkok soon and I will make sure I check out the beauty stuff there. Anything else I should not miss?